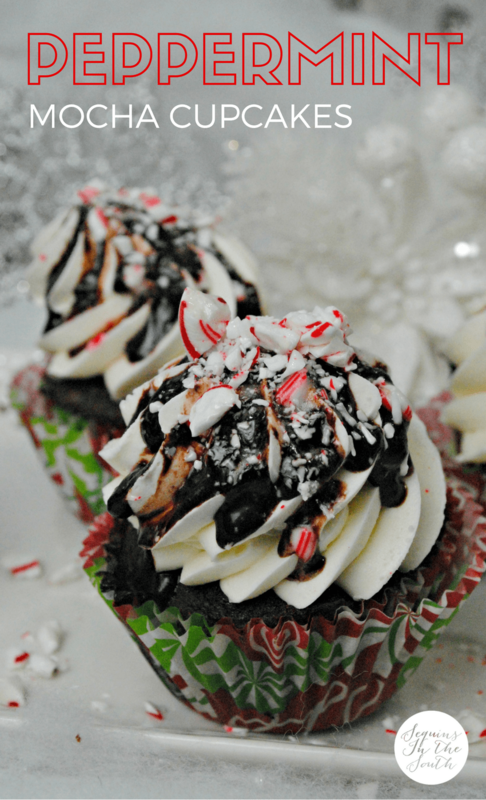 Supremely moist and decadent chocolate cupcakes topped with peppermint mocha frosting, a drizzle of chocolate, and crushed candy canes. ← Can you think of a sweeter way to kick off the holiday season? I’ve had this cupcake idea up my sleeve for months. But I wanted to wait until after Thanksgiving to make them. After our belies are filled with turkey and when Christmas music is “allowed” to be played. I’m so excited because I have my kids on board they always say “Mom find a Christmas song or Christmas movie” I have successfully succeed in the kid department!! How can one honestly resist? Just look at all of this chocolate! Peppermint mochas are a seasonal favorite, but the combination of chocolate, mint, and coffee is on my mind all year long. However, there is just something about this delectable combination of flavors when the snow is falling, family is playing, & presents are hiding in the closets. Nothing compares to sipping on a warm coffee drinks during Christmas time. 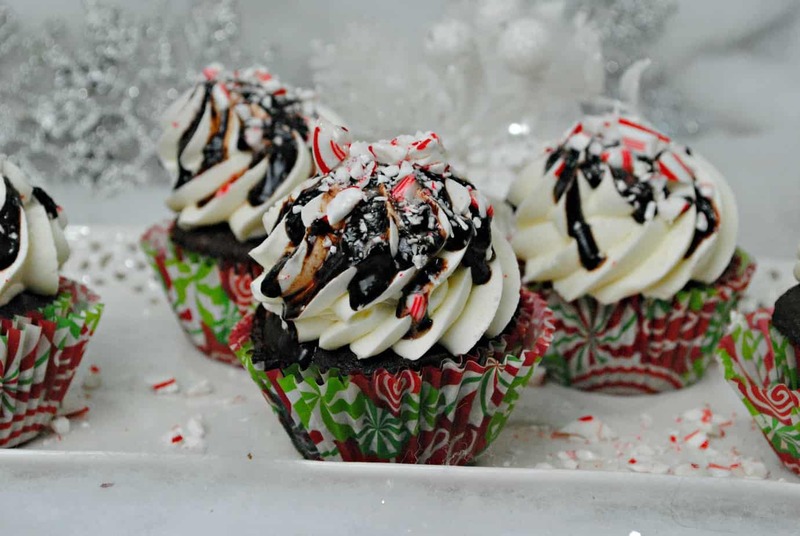 Unless, of course, you’re eating peppermint mocha in the form of a cupcake. NOTHING compares to that. I’m a huge fan of “Christmas flavors”. You know… the ones we look forward to indulging in all year long. Like eggnog, gingerbread, cranberry, snickerdoodle, pumpkin, and of course, peppermint mocha. Even as an adult, I still love candy canes. I especially like to crush them up and use them to sprinkle on cookies, cupcakes and So Delicious ice cream. Oh yes, a frozen peppermint treat! so have fun with the extra!!!! Preheat oven to 350 degrees. Line a cupcake tin with cupcake paper liners. -Whisk flour, baking soda, salt in a medium bowl. Set aside. -Whisk hot water, instant espresso powder and cocoa powder in a small bowl. Set aside. -Using a stand mixer, cream together butter and sugar until light and fluffy. -Mix the egg, vegetable oil, and vanilla until well combined. -Add in the flour mixture, alternate with hot cocoa mix until there are no lumps. 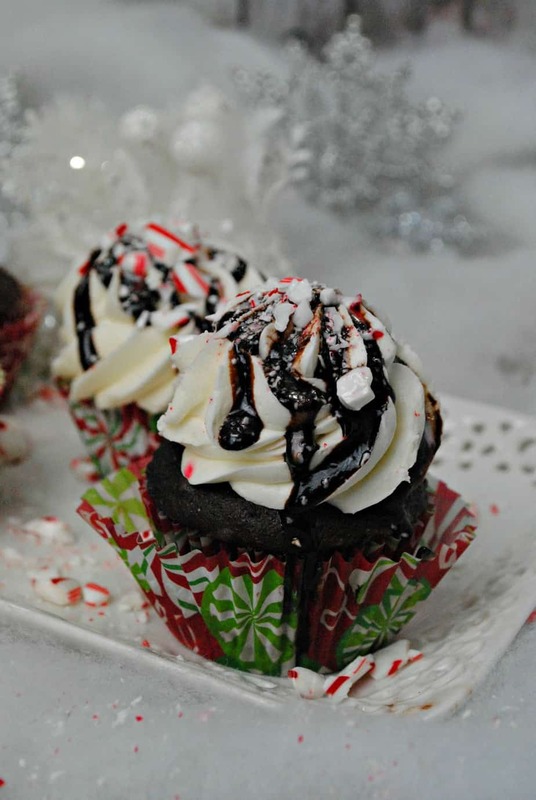 -Using a large ice cream scoop the batter into the lined cupcake tins until they are 3/4's filled. -Remove from oven allowing cupcakes to cool in cupcake pan for 10 minutes. -Take out of cupcake pan and place individual cupcakes on a wire rack to cool completely. -Mix in heavy cream and extract and mix until blended. -Spoon into a pastry bag with a large tip. -Frost cupcakes from the outside working the tip toward the center of the cupcake.